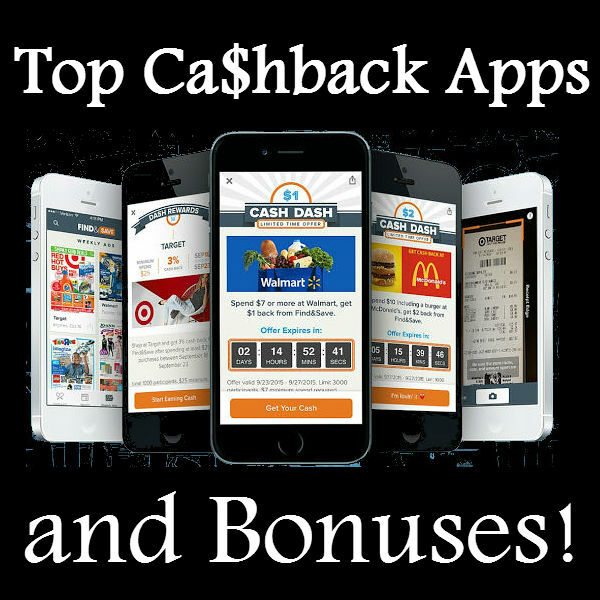 Top 8 Grocery Cashback Apps 2018 ~ $10 Bonus for Joining! 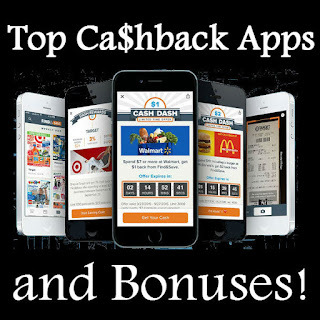 Below I have listed the top 8 apps and sites that you can earn cashback for by submitting your grocery receipts! Submit your grocery receipts to earn cash back. All are very simple to use and you can use them in addition to your in store grocery coupons. You can also submit receipts to several of the different app for even more savings. When I started couponing I did not know about these apps or maybe they weren't even around then. Either way when I started couponing I got a lot of stuff free or really cheap. Now with these cash back apps you can get thing totally free. I have also included a couple sites that you can submit any receipt to, to earn points which can be traded for gift cards. So all in all each receipt you have you can get quite a bit of cashback! With the ibotta app you can submit your grocery receipt to earn cash back for specific products in addition to using grocery coupons. Just scan product and take a picture of your receipt to earn cashback. With the ibotta app you can also earn cashback for certain retail stores by submitting your receipt. Join Ibotta today and get a $10 bonus when you enter referral code (fyjmta)! Find&Save is a great app because it will give you cashback for your whole receipt and not specific products. So what is extra great about Find&Save is you can use it in addition to coupons and still get cashback on specific items with ibotta. With find&save all you do is take a picture of your receipt and wait. Once approved the money will be added to your account. Join Find&Save today and enter bonus code BQWD to start earning cash back! 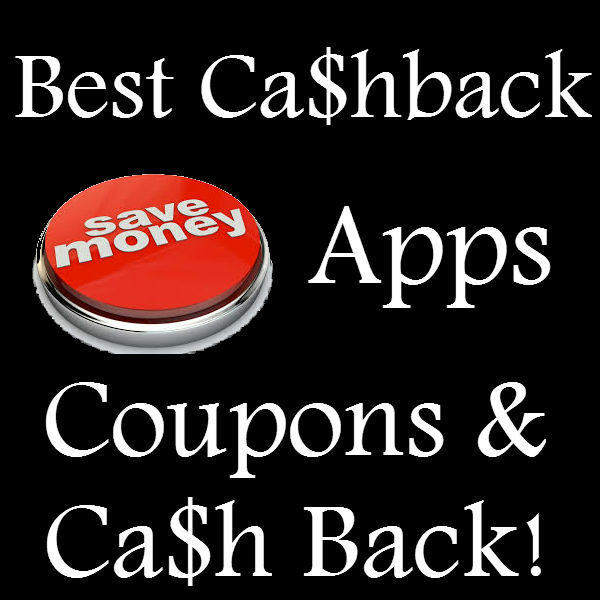 SavingStar is another great app that offers cashback in addition to grocery store coupons. Use SavingStar in addition to the ibotta App and Find&Save for even more great savings. Click here to to join SavingStar! Snap is another great app to use in addition to all the apps above to save on specific groceries. Scan your product and take a pic of your receipt to start earning cash back. With Shrink you can earn cash back on your more healthy choices at the grocery store. If you are into healthy and organic shrink is the app for you. You can earn cashback and points for you more healthy choices..
Join Shrink today and enter code SIKJQK to get a $1 bonus! BerryCart is another app to earn cashback on your more healthy choices. If you love to shop healthy and organic this app is a must. Shopmium is another app to earn cashback. Shopmium is another app that gives you cashback on specific products. And the last two app for getting cashback on your grocery purchase for specific products is Mobisave & Checkout 51. Use all the apps above by themselves or in combination to earn maximum cashback. I also like to submit my receipts to receipt hog, receiptpal & checkpoints for even more savings. and recieve a $10 welcome bonus (IMPORTANT—>) when you redeem your first Ibotta offer within 7 day. Make sure the item you redeem is not an any brand item, such as any brand milk, or any brand eggs. Those offers won’t qualify you for your $10 welcome bonus, but everything else will. Happy New Years and happy shopping! and receive a $10 Welcome Bonus after you redeem your first receipt with a ‘unique’ rebate on it within 7 days. **IMPORTANT: make sure you redeem a unique brand offer (‘any brand’ offers wont qualify you for your $10 bonus, however all other offers will) *WITHIN* 7 days of signing up or you *WONT* receive your $10 Welcome Bonus. Many many people miss this step even though it’s quite simple and very worth it (many offers cost $1 or less at your local grocery store) and I’m hoping to help out by explaining it well. Happy Shopping!